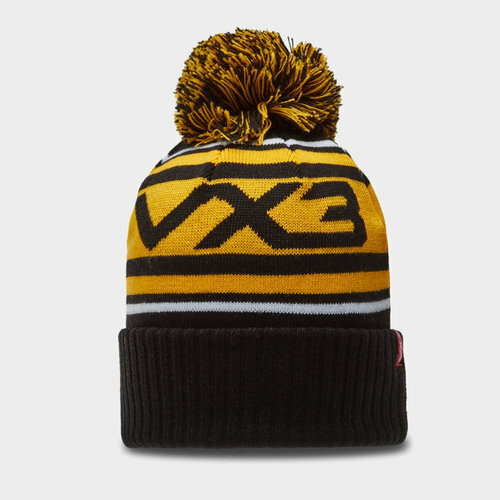 With those cold, winter days and nights creeping upon us it's important to stay protected in this VX3 Bobble Hat in a Black, Amber and White colourway. This hat comes predominantly in black with 3 yellow stripes inside 2 white stripes. The brand VX3 can be seen in black on the middle yellow stripe.